A second try in 2 respects. I wrote this post once and it disappeared during the save process. And my second try at knitting has been fruitful today. 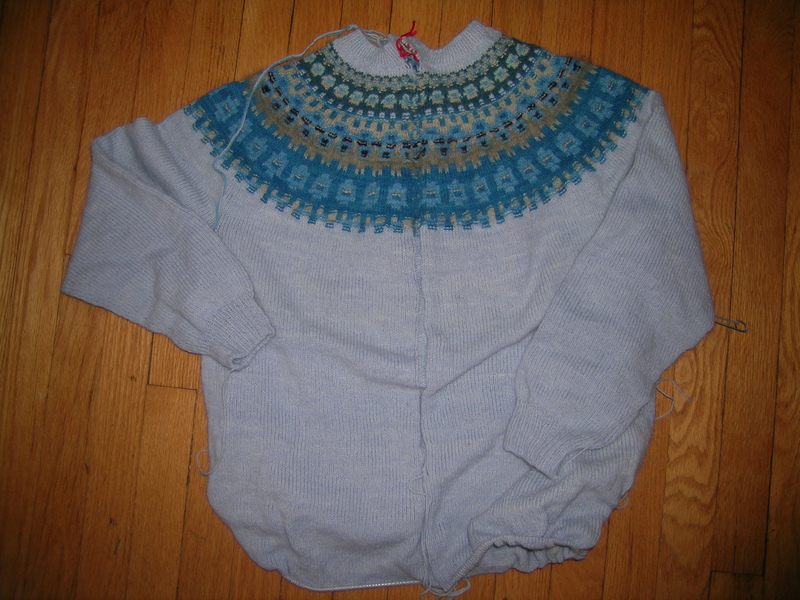 It appears that I might have enough ease in the Sonatina sweater to block it out to size. 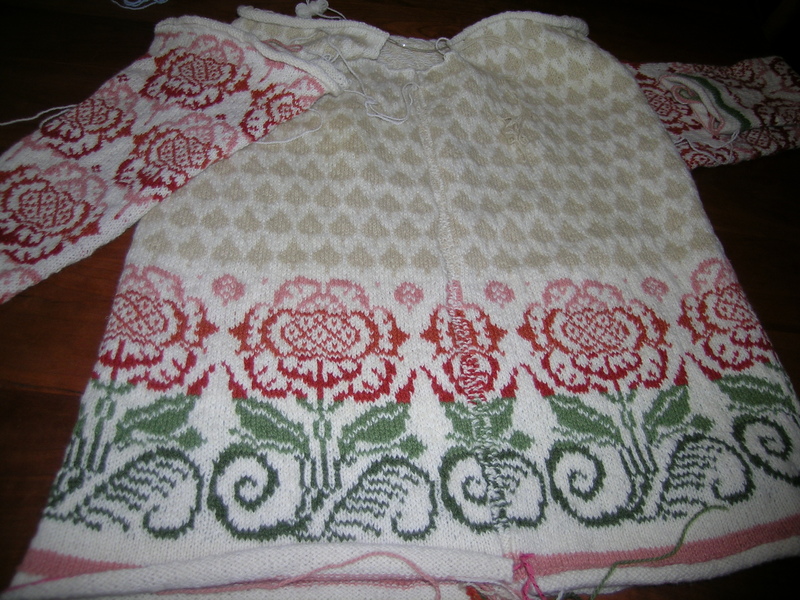 It is drying right now, then I can start on the sleeves. I guess that I will have to make them the same incorrect size and block them out, otherwise the sweater pieces will not fit together well. Lesson learned. In my frustration, I pulled out my sewing machine and sewed and cut the steeks for 3 (yes 3) sweaters. My bohus Stickning Blue shimmer, the Floral sweater by Slovig Hilsdale from Poetry in Stitches and a baby Dale pullover (no specific recipient, just needs to be a girl). These 3 have litterally been sitting in boxes, drawers, and bins for years waiting for me to get up the courage to sew and cut. I figured that I had potentially ruined one sweater that day, why not 4? I spent the entire Friday (cold and very snowy) just knitting. It was exhausting, but rewarding. Now to the button bands and sewing up.